As the leader of a virtual company of more than 65 people located around the world, I wouldn’t have it any other way. Of course, I had a lot of help from my partners getting to this point over the last six years. Nowadays, you have publications like the Harvard Business Review talking about virtual teams and the “post-geographic” office as the next big challenge for enterprise management. Virtual reality technology holds the promise of eliminating the need for a centralized real estate presence. For solopreneurs and growing small businesses, the acceptance of the concept doesn’t make finding and managing the right people any easier. Beyond locating the person with the right skill set, you’ve also got to find the right match for your particular personality and culture. 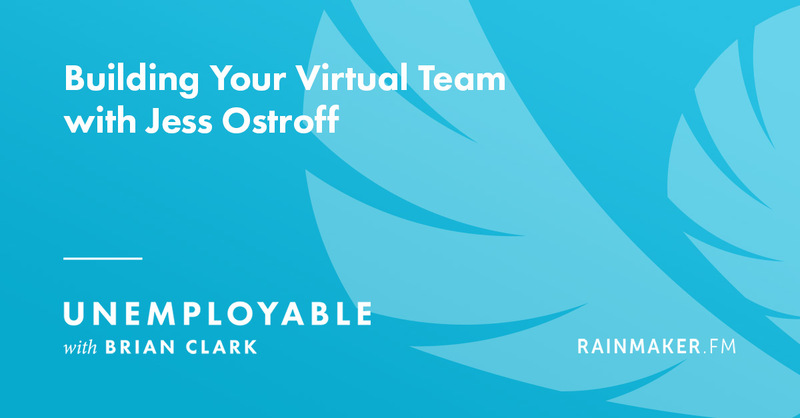 Jess Ostroff is a pioneer in the virtual assistant (VA) industry, so she’s got some valuable tips to share with you. She’s also pushing the boundaries of the virtual concept by creating an agency of talented writers, designers, developers, and assistants — essentially creating a virtual team of her own that you can tap into as needed.